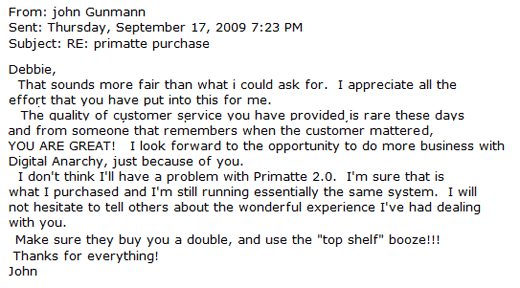 I had a very nice email exchange with customer John Gunmann a few months ago. Meant to blog immediately about the talk but other conversations kept piling on top. Figure this topic will be a wonderful final post of 2009. Especially since John was so pleased that he told me to buy a top shelf drink on the Digital Anarchy tab, which perhaps I will do tonight for New Years Eve. A pretty standard support email that we receive is from folks who can’t find their serial numbers and need that information resent. Super simple. Occasionally I receive a support email from someone who we can’t find in our serial number database. This generally turns out to be a bogus request but every once in a while, I am positive that the customer is sincere and we bend the rules. In John’s case, he had bought version 2.0 of our popular Primatte Chromakey, an Adobe Photoshop plugin that masks out greenscreen photographs. He contacted us asking for a resend of the product and serial number, but I couldn’t find him in our Primatte database. He was so cool and patient and sincere that after some back & forth, I decided the mistake was on Digital Anarchy and issued him a new Primatte serial number. Thanks John Gunmann. 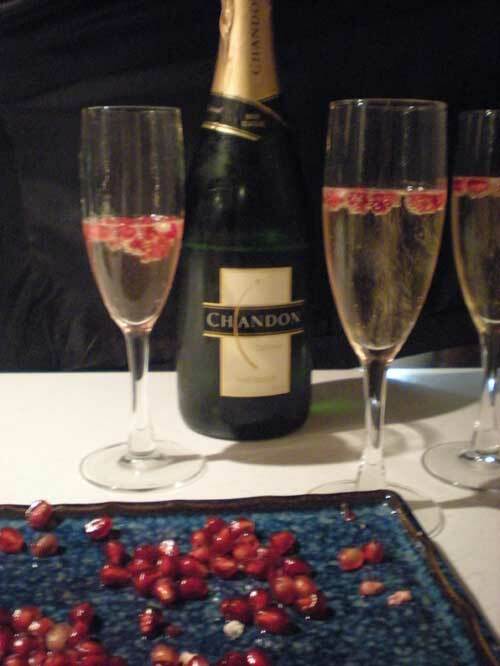 You’re a great memory to end the year with, and exactly why I work here at Digital Anarchy. Previous PostSuper-charged plugins, that’s us!Next Post2010 is already a ‘beauty”.